Reptile Exploration Hike – Snakes, Lizards and More! Come out to RidgeGate’s Willow Creek Trail for some family fun! Whether you’re a reptile lover or someone who gets the heebie-jeebies from our scaly friends, there will be something for everyone on this educational hike. “Snickers”, South Platte Park’s favorite bull snake will come to visit as well as some of his no-longer-living distant relatives. 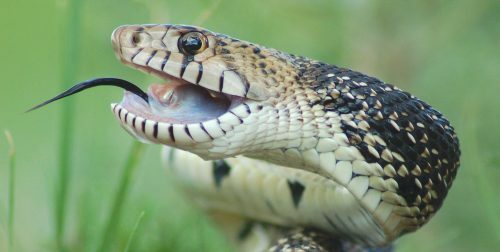 Learn about the differences between the more ‘desirable’ snakes we co-exist with, and those less welcome in our neighborhoods. How do you tell the difference? And, make a finger puppet of your favorite snake! Kids are welcome, ages 5+ recommended because the trail has some moderately steep portions, but younger kids game for the adventure may come along as well. Register below for this free, family-friendly summertime hike.